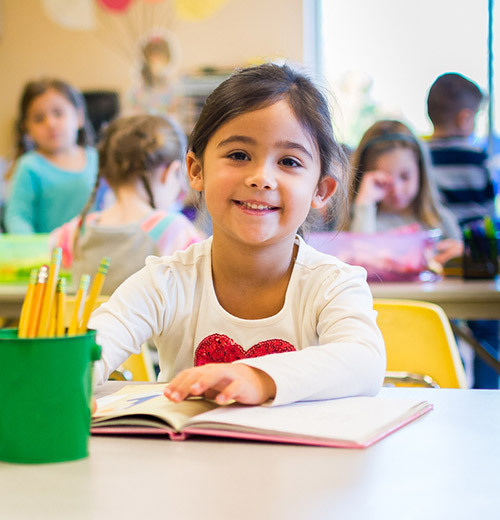 Weekday Ministries curriculum is based on core early childhood practices of hands-on learning for each student, guided by a classroom-proven curriculum. This includes the use of Zoo-phonics® multi-sensory language arts program and the renowned Everyday Mathematics comprehensive math program. Beyond reading, writing and arithmetic, we are proud to offer a variety of specials that help open children’s imaginations and give broader meaning and enjoyment to the world in which they live. This includes Music, Movement & Motor and Art. Children also take part in a weekly Faith and Values class and attend chapel led by the Faith & Values teacher, along with campus pastors and staff. During chapel, they sing songs and actively engage in spiritual lessons. Children of all faiths are welcome! Further, all teachers are trained in Conscious Discipline®, a whole-school solution for social-emotional learning, discipline and self-regulation that empowers teachers to consciously respond to daily conflict in a way that is safe, constructive and helps teach critical life skills to children. Weekday Ministries is proud to be a leader in connecting children with the natural world through its newly opened Certified Nature Explore® Classroom – the first of its kind in the Greater Indianapolis area. The breathtaking outdoor educational space is designed in partnership with Arbor Day Foundation and Dimensions™ Educational Research Foundation and is fully integrated into Weekday Ministries’ school and summer camp programs. The dynamic, nature-based play and learning space was constructed using research-based, field-tested design principles to create a nature-rich outdoor experience for students. 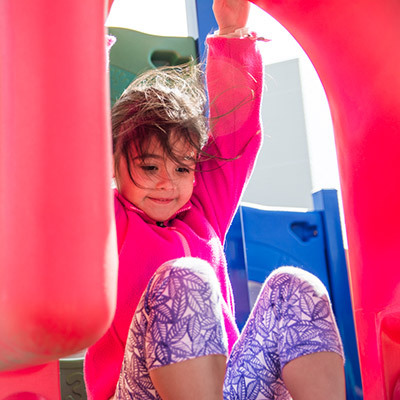 Numerous studies show that children’s social, psychological, academic and physical health is positively impacted when they have daily contact with nature, and this new space helps students meet this innate human need. By integrating well-designed outdoor education into its curriculum, Weekday Ministries is making a positive difference in the lives of children who may not be receiving adequate time exploring their interests in nature. Currently, the Certified Nature Explore Classroom is offered at our Promise Road campus. Plans are underway, however, to open a second certified outdoor classroom at the school’s Mud Creek Campus in Indianapolis. To learn more about Certified Nature Explore Classroom, visit www.natureexplore.org.